← What If the Jacksonville Sheriffs Office Searches My Car and Finds Marijuana? 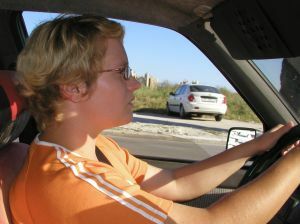 As a Jacksonville drivers license lawyer, I think it’s important to talk to my client about his or her driving record. It is even better when I can look at a copy of the driving record. There are certain Jacksonville traffic tickets that will be used against my client. The more points that a driver racks up, the worse his or her driving record will be. This can cause your insurance rates to increase. The Department of Highway Safety and Motor Vehicles will suspend your drivers license in Jacksonville if you have too many points. If your license is suspended and you are caught driving, you could receive a Jacksonville traffic ticket for driving on a suspended license. Even worse, you could be arrested for Jacksonville driving on a suspended or revoked license. Florida’s traffic laws give a point scale for different traffic tickets that are moving violations. A Florida speeding ticket will put 3 or 4 points on the drivers license. It depends on the speed that you were traveling. If you were going 15 miles per hour or over the posted speed limit, this will put 4 points on your Florida drivers license. You will receive 3 points if you were speeding, but you were not traveling 15 miles per hour over the posted speed limited. A Jacksonville reckless driving charge will give you 4 points. This is also criminal traffic charge that you should talk to a Jacksonville criminal lawyer about before doing anything. Jacksonville leaving the scene of a crash that results in property damage of more than $50.00 is also a crime in Florida that requires the attention of a Jacksonville criminal defense attorney. This type of hit and run accident will put 6 points on your Florida drivers license. If you cause a car accident due to speeding, this will result in 6 more points on your Florida driving record. Unlawfully passing a stopped school bus carries 4 points. Do you need help getting your Florida drivers license back in Duval, St. Johns, Nassau, or Clay County? Are you trying to fix your Florida driving record? Have you have been arrested for a criminal traffic charge? Do you need help with Florida speeding tickets or other Jacksonville traffic tickets? Talk to a Jacksonville lawyer by calling (904) 564-2525 or email a lawyer. It may seem easy to not worry about your driving record. It may seem easy to just pay your tickets and citations and move on. This could end up hurting you. The last thing that you want is to end up a Jacksonville Habitual Traffic Offender with a drivers license that has been suspended for five years.